The actor who has played several powerful roles in recent times weighs in on the importance of inclusivity and the need for women in positions of power. Women are being accepted in different parts and technical aspects of filmmaking but there’s still a long way to go. From pre-production to post-production, the ratio of men and women working on a film set is still lopsided. I believe inclusion will be when there is equality. Once we start treating men and women equally, there’ll be no need for a conversation around the need for inclusion. Also, this conversation about inclusion goes beyond gender. Our films will become enriched if we have people from different backgrounds in our crews. We have to help talent shine and not give people access only because they know someone. I am always asked about being an outsider in Bollywood. I hope that some day soon, we would be fair to talent that is coming from outside the industry. There are probably thousands who are more talented than me; I was probably just luckier than them. Having women in positions of power might help correct this skewed male-female ratio on a film set. But it is a Catch-22 situation. We need women in position where they can call the shots but there are multiple reasons why women don’t reach there. There is a glass ceiling that is different to break and, for the few who manage, there’s a lot of politics. Women are rarely welcomed by the people who’re up there because they wouldn’t want to share the stage. If I could change one thing about how women in power are perceived, it would be the perception on how she got to that level. Just because she’s there and in command, it doesn’t mean she has personal relations [that helped her] to get there, or that she had certain deals with people to get there. I think female talent is underrated extensively, not just among men but also among other women. Since the #MeToo reckoning came to our shores last year, there have been rumours that maybe instead of hiring more women, they are being excluded from crews. I really hope this is not true. But when a big revolution happens, you will have some collateral damage of sorts. Sometimes, it’s in our favour and sometimes it goes against us. I always want to see the glass half full. If it’s in my control, where I can change this, and if a woman is not taken because of #MeToo, I’ll stand with women for that. 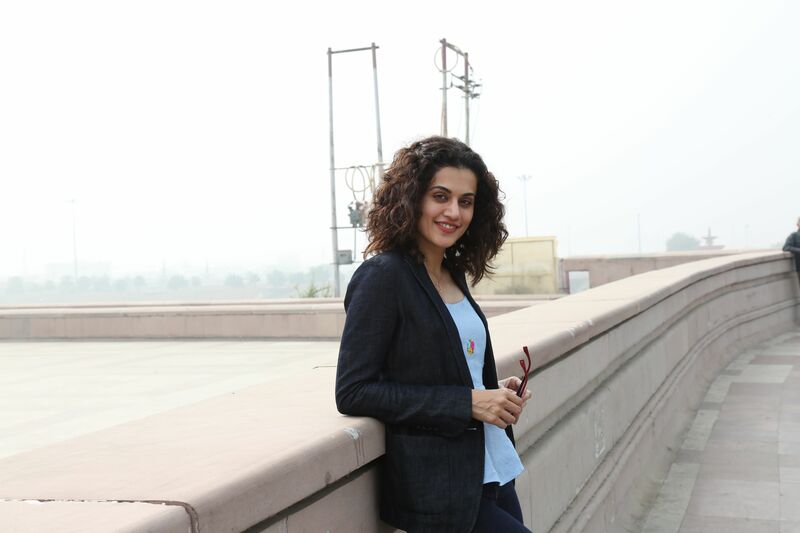 Acting powerhouse Taapsee Pannu is charting her own course between mainstream blockbusters and hard-hitting cinema. Outside of films, she owns a Badminton Premier League team and a wedding planning agency.